Greg Norman fired a 6-under-par 66 Sunday to win the $1.7 million Memorial Tournament by four strokes at Muirfield Village Golf Club in Dublin, Ohio. Norman, playing for the first time in nearly two months due to a sore back, won the tournament for the second time in six years. Norman's 19-under 269 was one stroke off Tom Lehman's year-old tournament record. 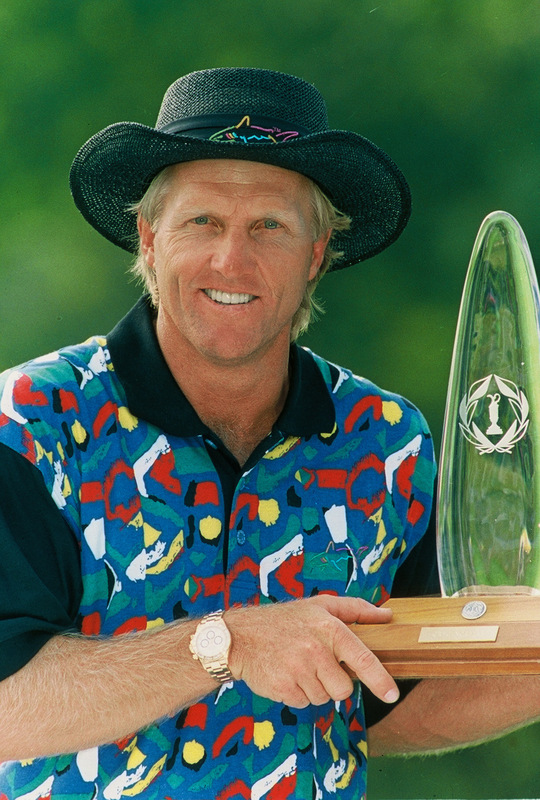 Greg Norman completed his third round in the morning, then fired a 6-under-par 66 Sunday to win the $1.7 million Memorial Tournament by four strokes at Muirfield Village Golf Club in Dublin, Ohio. Norman, playing for the first time in nearly two months due to a sore back, won the tournament for the second time in six years and claimed his first victory since the 1994 Players Championship. His 19-under 269 was one stroke off Tom Lehman's year-old tournament record. "The second tastes better than the first," Norman said. "Every year since then, I've come back wanting to win here in a full 72 holes. I wanted to win this tournament really badly. And to finish off the way that I did today was equally important. I didn't want to come in with a one-shot victory." Norman was one of 22 golfers forced to complete their third rounds Sunday morning after darkness suspended play Saturday night. He finished a 4-under 67 and trailed midway through the final round before birdying four of the final eight holes. Steve Elkington, Mark Calcavecchia and David Duval were tied for second at 15-under 273. Elkington and Calcavecchia shot final-round 67s and Duval had a 68. Elkington and Calcavecchia kept the pressure on Norman through much of the final round, but both bogeyed the 17th hole while the Shark pulled away, taking just one putt on each of the last five greens, the last two for birdie. "It's not easy to take five weeks and not touch a club, then hack around at home for a week and come out and blow everybody away," Calcavecchia said. "It just shows how good he is. I would think that now he is the man to beat at the U.S. Open." Norman withdrew from last week's Colonial Invitation because he did not feel his game was ready, but said it took just a few days to bring it up to a competitive level. "I came home on Friday night and told my wife, Laura, 'I'm ready to play,'" he said. "I was hitting the shots I needed to and getting the feedback that I wanted. When you get out here and get under the gun, your natural instinct takes over. You just trust your swing and you trust your stroke." Five golfers were tied at 13-under 275, including Jay Haas, Masters champion Ben Crenshaw, David Frost, Tom Watson and Robert Gamez. By finishing second, Duval earned $126,933 to boost his rookie season winnings to $691,633, breaking the record for a first-year player, set last year by Ernie Els. Muirfield Village is considered to be the best course designed by Jack Nicklaus, who missed the cut. The 7,104-yard, par-72 layout is a challenging second-shot course that traditionally favors long hitters.